I am very pleased that the recent charity night supporting redkite was another success for SAP and kp1. 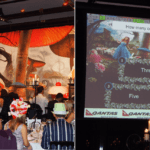 The Mad Hatter theme showcased how versatile the kp1 audience response software program is, allowing me to get a great background into the PowerPoint master slide and move away from the standard text look. 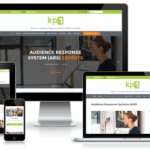 If you are looking for a great audience response system that offers easy to use competition features, please contact me to download and test the kp1 software.